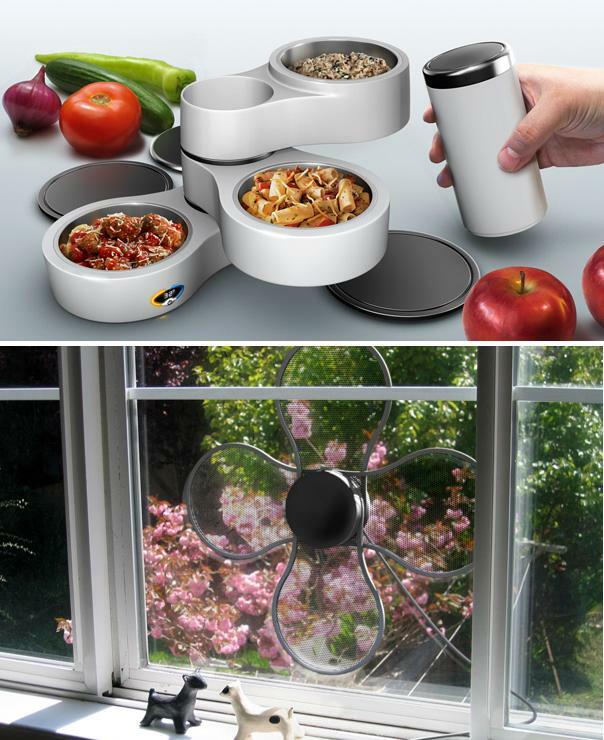 15 Innovative Food and Beverage Warmers for Office. 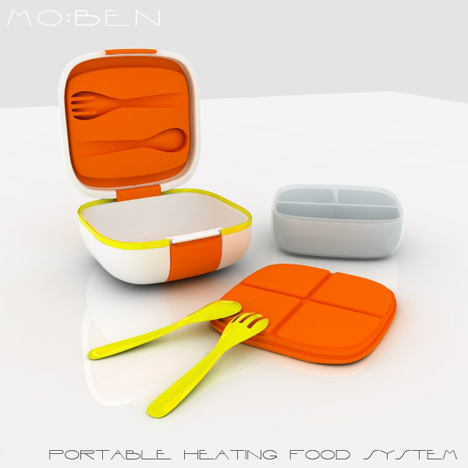 Collection of 'Innovative Food and Beverage Warmers for Office' from all over the world. Lunchbox by Burcin Ceren Olcum: This creative lunchbox and heating concept by designer Burcin Ceren Olcum consists of a lunchbox that's fitted inside a multiple layer container. It comes with different sections that allow you to take different kinds of foods at the same time; you can reheat your packed meals right at the workstation. It comes with a USB compatible cord that can be simply plugged into a laptop for recharge. 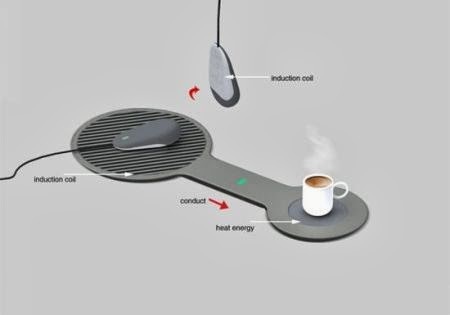 Beverage Warmer: This cup warmer isn't like the usual USB cup warmer, instead here the mousepad keeps your beverage warm using the electromagnetic induction transformed by the friction between your mouse and mousepad. 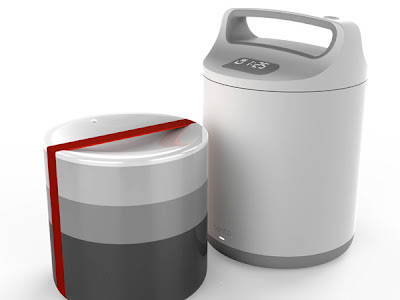 Bento Lunchbox: This Bento Box portable steamer and lunchbox uses induction cooking elements while the water steams through the course of the body. For easy cooking, vegetables, protein, and grains are separated into various containers. The assembly's base heats up using inductive technology; this creates steam from water added to the grains in the bottom container. The steam rises naturally up the assembly, cooking the grains and the contents of the top two containers. 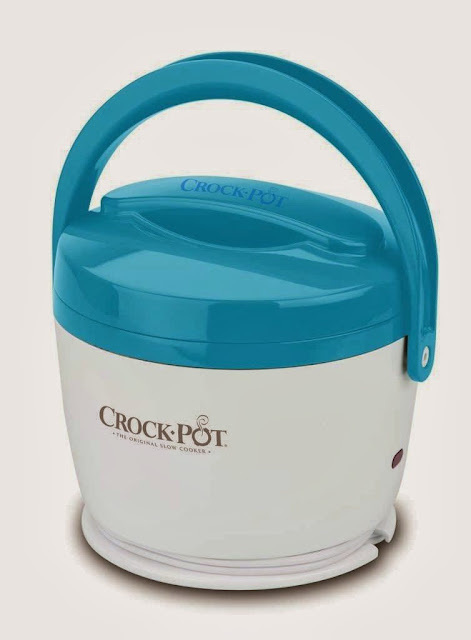 It comes with a built-in timer that allows you to program it when to begin cooking while the double-walled containers act like a thermos keeping the contents warm. 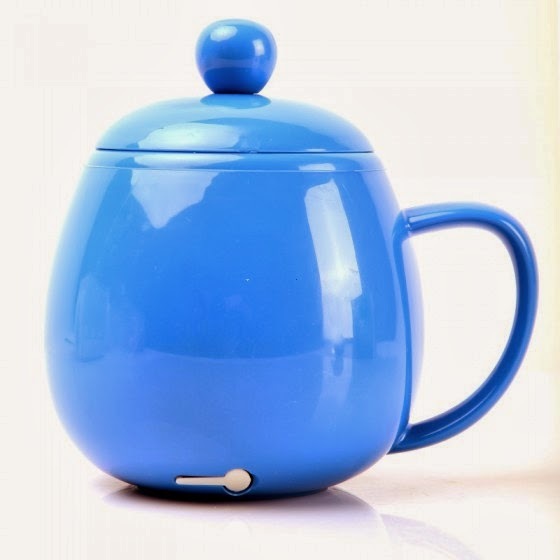 Beverage Cup Warmer: This USB powered beverage warmer keeps your coffee, tea, or other beverages warm. 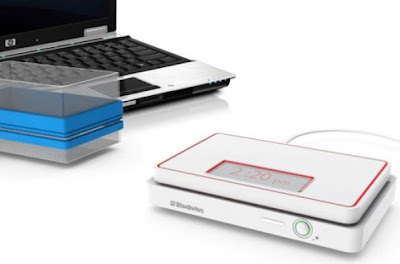 Thanko Obento USB Heated Lunch Box: Just plug in your lunchbox to your workstation or laptop to keep your food fresh and warm. 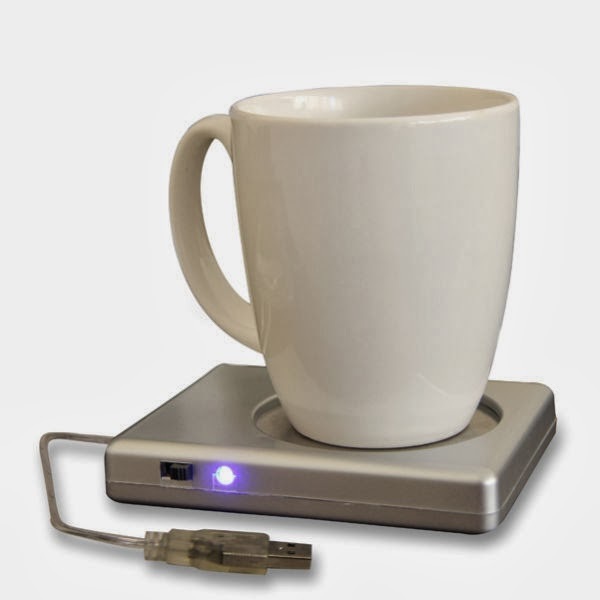 USB Cup Warmer: Simply plug this gadget into your USB port and place your cup onto the plate and your cup stays warm for an extra 30 minutes. 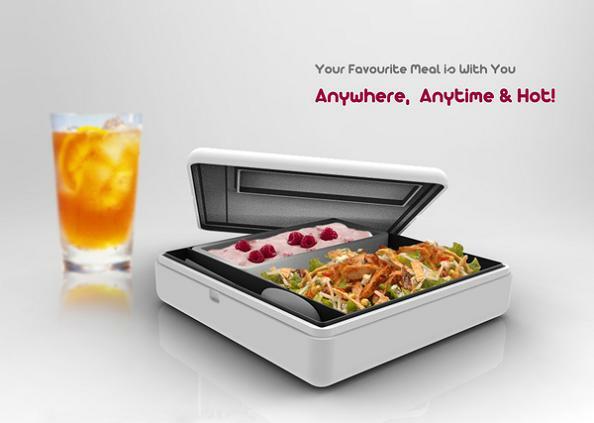 My Lunchbox by D Luo: The lunchbox is a convenient way to heat up the lunch without leaving the seat. It can be connected to the notebook via USB. 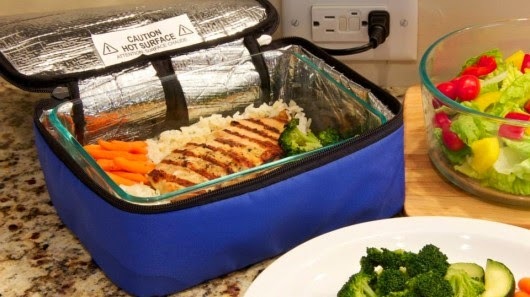 Just simply place the lunchbox into the food warmer and set a time and temperature. When the food is ready, a signal is displayed on the food warmer and a message will appear on the notebook. 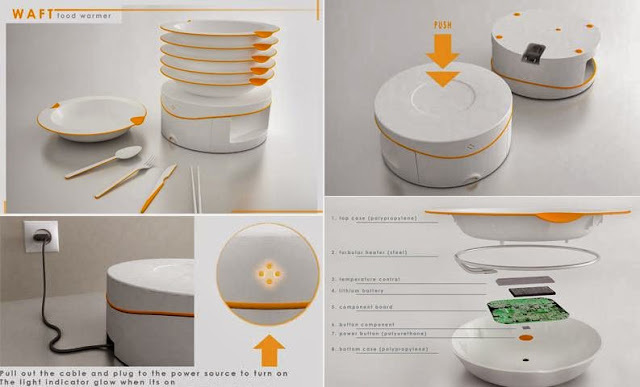 Waft Food Warmer Concept: The Waft food warmer plate is a combination between plate and bowl shape; it can be used for both dry food and soup and it keeps the food warm while eating. Moben Lunchbox: Designer A Cheong's lunchbox warms up your meal through an internal film heater. 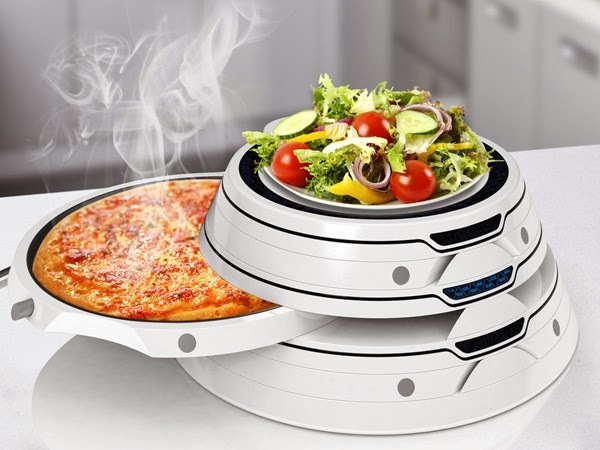 Tower Food Warmer: The Tower Food Warmer keeps your pizza along with salad perfectly warm and fresh. 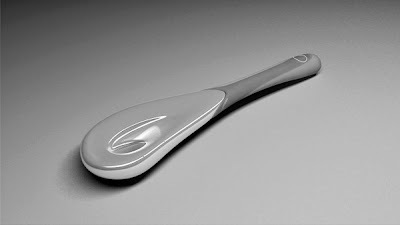 And it features a clever locking system that doesn't allow the food section to open hastily. 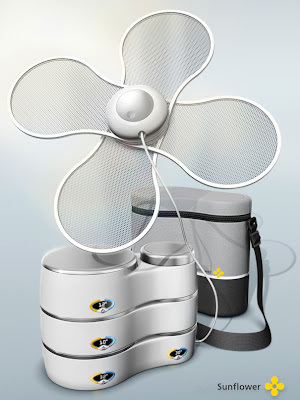 Sunflower Lunchbox: It's a solar-powered lunchbox that heats and cools food items at the same time. Solar-Powered Lunchbox: This concept lunchbox comes with a built-in heater that's solar powered. 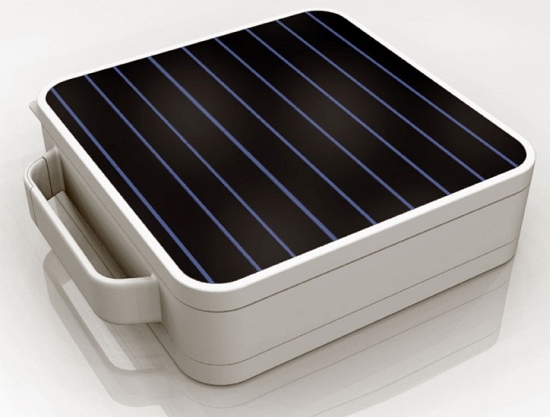 Hotlogic Mini: It's a portable cooking device that heats food without drying it out and gives you steaming meals. 15 Awesome Sticky Notes and Clever Post It Notes Designs - Part 4.